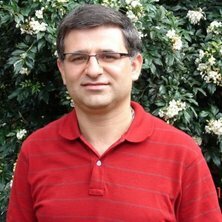 Dr Ali Dehghan-Manshadi is a research fellow in the school of mechanical and mining engineering. He hold a PhD in materials engineering from Deakin University. He has a long research background on different materials science related area including: powder metallurgy, phase transformation, thermomechanical processing and microstructural studies. Research Interests: My research interests include powder metallurgy of titanium and titanium alloys, metal injection moulding (MIM) of titanium alloys, thermomechanical processing of metallic materials.